New mortgage rules that start Jan. 10 might affect whether you can get a home loan. The rules will limit how much debt you can carry, the fees and interest rates lenders can charge and the types of mortgages a lender can issue. Experts say that up to 95% of all loans issued today already follow these rules after lenders tightened their standards following the financial crisis. But the new mandates still could affect both low- and high-income borrowers. These rules could impact not only aspiring homeowners but also those who want to sell. If it’s harder to get a loan, the pool of potential buyers will be smaller. Home sales may take longer and sales prices may be lower. Here are the new rules and how they could affect you. Rule 1: A borrower’s debt-to-income ratio can’t exceed 43%. When deciding if you qualify for a loan, most lenders consider your income or assets, employment status, credit history and monthly payments for mortgage-related expenses such as property taxes. Going forward, you won’t be able to get a so-called qualified loan if the proposed monthly mortgage payment, plus your existing monthly debt payments (like your car payment, student loans and credit card bills), will exceed 43% of your gross (pretax) income. That's called your debt-to-income ratio. This rule is supposed to prevent lenders from offering more mortgage than you can afford to repay. The new ratio is slightly lower than what Fannie Mae (45%) and Freddie Mac (50%) — the two giant government-owned companies that finance most of today's loans — currently allow. FHA loans have a maximum debt-to-income ratio of 41%, unless a borrower has a substantial down payment or significant cash reserves. Many lenders already require borrowers to have a debt-to-income ratio of 43% or lower. Those most likely to be affected by the new rule include borrowers who are self-employed, whose incomes fluctuate or who rely on investment income or savings. They will qualify for smaller loans because of the way lenders will have to evaluate their income, says Brian Koss, EVP of Mortgage Network in Danvers, Mass. Low-income home buyers who qualify for assistance from certain state and local agencies and nonprofits won’t be affected by this rule. Ability-to-repay guidelines are less strict for borrowers refinancing from higher-risk to lower-risk loans, such as from interest-only loans to fixed-rate loans. Rule 2: Lender fees will be capped. Lenders will be able to charge no more than 3% of the loan amount in points and fees. Mortgage broker Todd Huettner of Huettner Capital in Denver says this regulation is intended to make home ownership more affordable. "Points and fees" includes discount points, origination points (also called origination fees) and other fees that compensate the lender. It does not include third-party charges like those for escrowed taxes and insurance, notary fees, appraisal fees, flood hazard reports, pest inspections, document preparation, title insurance or credit reports, as long as these fees all come from independent companies not affiliated with the lender. Origination fees average 0.87% and usually aren’t higher than 1%, according to a Bankrate.com study, so most borrowers aren’t likely to be affected by this rule. If lenders can’t charge more than 3% on certain loans, though, they may be less willing to offer those loans because they won’t generate enough revenue. 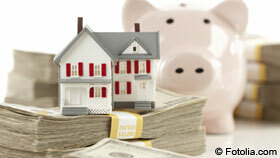 Newsday reports that loans of $100,000 to $160,000 are the most likely to be affected. Loans of less than $100,000 can have lender fees exceeding 3%. Because of the way the 3% limit on fees will be calculated, banks will easily be able to comply, but mortgage brokers will not, Huettner says. That means brokers might not be around to help consumers find the best deals, especially on loans smaller than $200,000. Another unintended consequence is that brokers might get squeezed out of the market, giving borrowers fewer options and less bargaining power. The government’s analysis suggests that brokers might be able to shift fees around to comply with the rule. Increases in compliance costs from the new regulations could force smaller lenders out of business, further limiting consumer choice. 9 biggest mortgage mistakes:These pitfalls can keep you from getting a mortgage or from grabbing the cheapest one possible. And, in some cases, making one of these mistakes can lead to potential financial ruin. Our guide will turn you into a savvy borrower so that owning your home will be a joy, not a burden, and will help you achieve long-term financial security. Rule 3: Exotic loans will be harder to find. During the housing boom, interest-only, negative-amortization and balloon mortgages made people think they could afford homes that they really couldn’t. These are the kind of loans in which your initial payments are low, but your debt grows, not shrinks, over time. During the housing bubble, many borrowers didn’t understand what they were getting themselves into and lost their homes. Regulators want to keep these riskier loans from being resold as investments so they can’t contribute to any future housing crisis. Lenders can still offer them, but they’ll have to keep them in their own portfolios. Huettner says that many lenders will probably stop offering these loans, and those that do will charge unattractive interest rates. Some states have already passed laws banning negative-amortization mortgages. And lenders typically only offer interest-only loans to borrowers with high credit scores, substantial assets and at least 30% equity. The new rules also ban loans with terms longer than 30 years. Such loans don’t reduce the borrower’s monthly payment by much, but they dramatically increase how much interest he or she pays. Adjustable-rate mortgages are still allowed, but the ability-to-repay rule could restrict how often they’re approved. Lenders won’t be able to give you the mortgage based solely on your ability to pay the ARM during its first few years, when it has a low introductory rate. They’ll only be able to give you the loan if you can afford to pay what it's estimated to cost after the rate resets. Rule 4: Borrowers won’t be able to sue lenders who follow the rules. 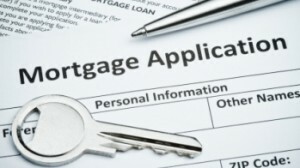 If lenders follow the new rules, a mortgage will be considered qualified. That means the mortgage company can sell the loan to Fannie or Freddie, who will then package them as investments. Lenders who issue a qualified loan will be shielded from a lawsuit if a homeowner is foreclosed upon. The borrower will not be able to argue that the lender shouldn't have issued the mortgage. Borrowers will still be able to sue a lender who violates other federal consumer protection laws, such as those banning discrimination. And lenders will still be able to issue riskier mortgages that don’t meet qualified mortgage guidelines, but they’ll expose themselves to more liability. To compensate for the additional risk, some lenders will charge borrowers a higher interest rate, perhaps half a percentage point higher, says Mark Feder, president of Pacific Home Mortgage Funding in Solana Beach, Calif.